SOUTH CAROLINA -- A four-year-old was flung around like a rag doll, attacked by a vicious dog before his dad pried him loose. WIS News 10 talked to the Sumter family who survived the ordeal. He's only four years old, his head covered completely in bandages, but Christian Hipps is still able to wave to the camera, despite being attacked by a bull mastiff. "His intentions were I think to kill him," said Anthony Hipps. Anthony saw it all when it happened Friday around 2:00pm. Christian and his sister were playing outside in the front yard, and that's when Christian's dad heard a scream. "As I walked out the door I said, 'he looks dead, I don't think he's alive,'" Anthony recalled. That's because he said Christian's head was inside the dog's mouth. "The dog had Christian by the head, just throwing him like a rag on the ground," Anthony told WIS News 10. That's when dad stepped in and wrestled the dog. "The dog was intent on not letting go," says Anthony. But finally he did. Anthony says Christian walked back in the house, the dog went back home, and that's where Sumter police picked him up just two doors down. "I'm just devastated this happened," said the dog's owner. She wanted to remain anonymous, but she says the dog broke free from a body leash and jumped two fences to get out. "If I had been there I would have jumped in front of a bullet for one of their children or any child for that matter," she said. She says she got Brutus from the Society for Prevention of Cruelty to Animals. He was a gift for her daughter whose father had just died. She's only had him a month and had no idea what he was capable of doing. Christian is expected to make a full recovery, but will be in the hospital for about two weeks. Prior to attacking the 4-year-old, police say the mastiff attacked a Pomeranian. 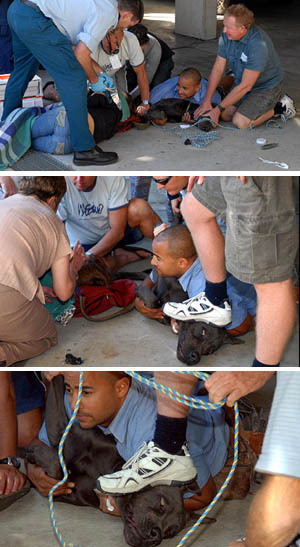 The owner was able to free the dog from the mastiff's mouth. The Pomeranian's owner received minor injuries. A friend of the mastiff's owner picked the dog up from the scene. Chief Patty Patterson says Brutus was put to sleep Monday at around 3pm. FLORIDA -- The Florida Fish and Wildlife Conservation Commission (FWC) and the U.S. Fish and Wildlife Service Office of Law Enforcement announced today that Joshua Lee Moores, 25, (Birthdate 08/14/1982) of Cocoa, Matthew Ryan Blake, 25, (birthdate believed to be 07/11/1982) of Cocoa, and Aaron Hagemeister, 22, (believed to be Aaron Hagemeister with birthdate 12/30/1986) of St. Cloud, each plead guilty to one count of violating, and aiding and abetting the violation of the Migratory Bird Treaty Act. They killed 13 birds and plead guilty to just three? Lazy prosecutors. Maybe when you actually make the punishment fit the crime will it be a deterrent to other killers. Each individual was sentenced to pay a $2,750 fine, placed on probation for three-and-a-half years during which they cannot possess firearms, and were charged a $10 special assessment fee. Ooh, $2,750 fine. They were facing $15,000 in fines. They were facing five years of probation and only got 3-1/2 years. They were facing six months in jail and got NONE. On August 20, 2006, Moores, Blake and Hagemeister were allegedly crow hunting on a spoil island located in the Indian River, north of the 528 bridge in Brevard County. Yeah, crow tastes delicious. Not. They were killing for the sake of killing. According to court records, the three men shot at and killed non-game, migratory birds including three black vultures, one turkey vulture, two anhingas, two grackles, four gulls, and one white ibis. An FWC law enforcement officer and a Florida Department of Environmental Protection biologist located, documented and collected the 13 dead birds. "We are pleased that these three individuals have been held accountable for this blatant and senseless violation of the Migratory Bird Treaty Act," said Major Jack Daugherty, law enforcement commander for the FWC's Northeast Region. This type of Migratory Bird Treaty Act violation is class B misdemeanor punishable by up to a $15,000 fine, six months in jail and up to five years probation. "The USFWS will not allow the wanton and illegal take of migratory birds regardless of the type, abundance or popularity of the species. Only lawful migratory and resident game birds are legal game," said Resident Agent in Charge Andrew Aloise. This case was prosecuted by the U.S. Attorney's Office in the Middle District of Florida and investigated by officers from the Florida Fish and Wildlife Conservation Commission and special agents from the U.S. Fish and Wildlife Service. AUSTRALIA -- A woman accused of keeping a Neapolitan mastiff dog, which last year bit large chunks from the arm of a female companion, blames the dog for the attack and not herself. Jo-Ann Tesch of Pomona pleaded not guilty in Noosa Magistrates Court yesterday to a charge instigated by Noosa Council that carries a maximum penalty of $3000. 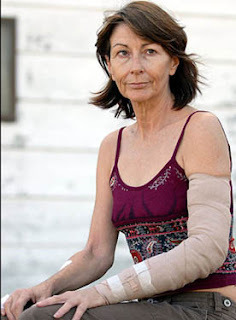 Ms Tesch said she did not order the dog to attack her then housemate Julie Harris in the underground carpark of the Noosa News building on June 6 in Noosa Junction. Ms Harris was not in the court to hear the case adjourned for a fifth time to November 28 for hearing. But the memories of what transpired that shocking afternoon – when three men struggled to hold the dog to the ground and police finally shot it on the spot – still haunt her. “I still have nightmares (about the attack) three or four times a week,” Ms Harris said. Ms Harris said she has not recovered physically from the trauma and has a full-time carer. She said police endured a lot of flak after the attack for their execution of the dog, but she has met the policeman who pulled the trigger and thanked him for his actions. “I told him he didn’t have a choice - he had to do what he did. Neapolitan mastiffs are descended from a line of dogs used in ancient warfare alongside the Romans and were also used for fighting with lions. 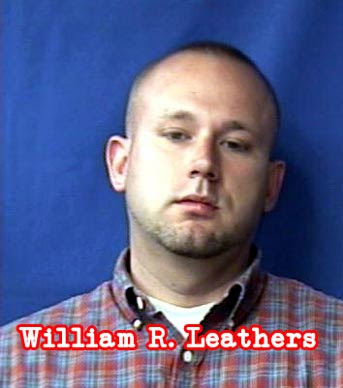 TENNESSEE -- A Dyer County constable attempting to serve a civil warrant was seriously injured by a pit bull on Tuesday. James Murphy was serving papers at 806 Phillips St. at about 4:12 p.m. when the attack occurred. "I'm a lucky man," said Murphy. "It could have been a whole lot worse than what it was." Sixteen stitches were used to sew up the inch-deep tear in his upper left thigh, he said. The attack occurred as Murphy walked to the back door of the residence. "There was a little black dog there, and I was talking to him," said Murphy. "Then from nowhere this big pit bull charges at me. Doesn't make a sound. And he starts biting." Murphy said he fell back from the dog and furiously began moving back on his elbows and using his good leg to kick away from the dog. The dog lunged at him, he said, but was restrained by a chain. "If that chain wasn't there, he would have come after me," said Murphy. "It started barking after it saw it couldn't get me." Murphy said he thinks his injury is from one tooth ripping into him before he fell back. According to dispatch reports, Murphy, who was unarmed and didn't have his radio on his person, limped to his truck and radioed for help. Constable James Sansom, who was at the Dyer County Courthouse when the plea was broadcast, was the first on the scene and called for an ambulance. The two were planning to meet to travel to Jackson for law enforcement training later that day, Murphy said. The Dyersburg Regional Medical Center ambulance arrived at 4:23 p.m. and began first aid on Murphy's injured leg. Murphy was able to drive himself to the emergency room, where he was treated and released. "By the grace of God, that dog was on a chain,' said Murphy. "Otherwise, I probably wouldn't be here." The dog was taken to the Dyer County Humane Society for observation. 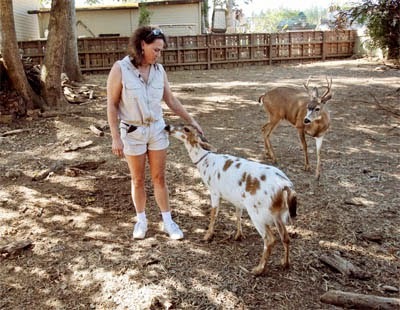 OREGON -- Francesca Mantei and her Molalla family hope state wildlife officials will return two deer they have kept as pets, Snowball and her yearling buck, Bucky. Under no conditions will Snowball the deer be returned to the wild, the Oregon Department of Fish and Wildlife and announced today. 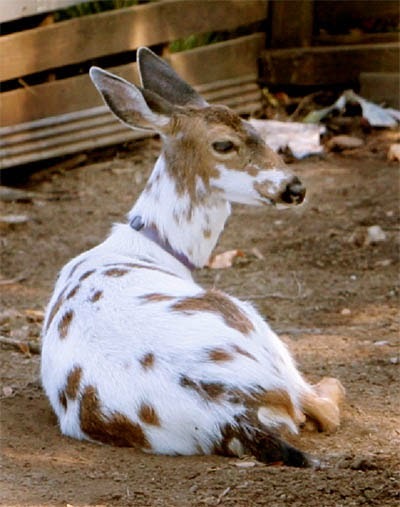 Wildlife officials were still waiting for lab results that could help determine the fate of the mottled 6-year-old doe and her yearling buck, Bucky, both seized Sept. 12 from a Molalla family that kept them as pets. "Going back into the wild for the doe is not an option," said Rick Hargrave, a spokesman for the state wildlife agency. "It's got some degenerative abnormalities that would preclude it from surviving in the wild." Bucky, he said, was a better candidate for release, the agency's preferred alternative, because he was exhibiting an "aversion to human contact" and the type of "flight behaviors that they'd use in the wild." Officials also are considering placing the deer at a licensed wildlife refuge or returning Snowball to Jim Filipetti and his family. Filipetti's attorney met with state officials Tuesday and was still seeking a compromise. TENNESSEE -- A Newbern man is in a Memphis hospital today after he was mauled by a pit bull Saturday morning. Coy Rushing, 61, is at The Regional Medical Center in Memphis with severe arm lacerations from bites suffered from a pit bull. According to Newbern police captain Jim Richards, Rushing had knocked on the door of Tim Cummings's residence at 532 E. Johnson St. to inquire about work Cummings wanted Rushing to do. "Apparently, when the door opened a pit bull came running up to him and attacked," said Richards. Cummings was not at home at the time, said Richard, but people he termed "house sitters" were. Rushing, a diabetic, was able to get into his parked car. His wife, who was in the car, drove to the police station. A medical helicopter landed behind the railroad depot and Rushing was transported to Jackson-Madison County General Hospital and then to Memphis. 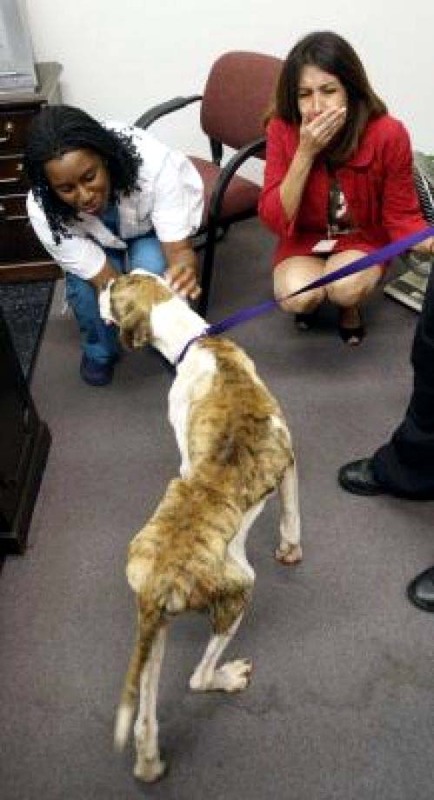 The pit bull was seized and taken to the Dyer County Humane Society shelter. The dog is described as a large white and black male pit bill and "quite aggressive," said shelter director Dr. Carol?Feather. A notice was placed on the pit bull's shelter cage warning not to enter the run to feed the dog. No charges have been filed, said Richards, though the case remains open. TEXAS -- The operator of a bulldog breeding facility was handcuffed and taken into custody late Thursday after being charged with one count of animal cruelty following a hearing to regain custody of more than 50 animals seized from her north Houston property. Kathy Drobina was arrested after she walked out of a municipal courtroom, where she spent most of the day at a civil proceeding to determine who would get permanent custody of 47 emaciated dogs and 10 cats found at Pickett's Pride American Bulldogs on Thursday. Drobina's lawyer, Joseph J. Finkel, declined to comment on his client's arrest or the civil proceeding. About 30 dogs and other animals were found dead on the property at 16119 North Freeway. Many of the living dogs were surrounded by feces, and they had little or no food and water, authorities said. Justice of the Peace Judge Dale M. Gorczynski made the decision to award the animals to the SPCA on Tuesday after a lengthy civil hearing. The hearing included testimony from a Houston SPCA veterinarian and a veterinarian being used by Drobina. 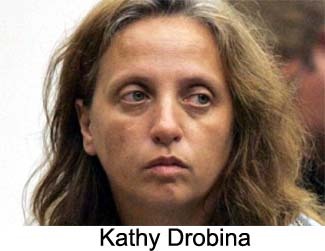 Drobina did not testify. Veterinarian Dennis Wendt, who testified on behalf of Drobina, said he believed the dogs were suffering from a systemwide bacterial infection that appeared to be rapidly moving through the dog population. Wendt said he met Drobina about two months ago when she brought a sick dog named Cleo to his clinic. During the hearing, Finkel accused the SPCA of using the case for publicity. "This is what the case is about is publicity. Nobody talked about what animal cruelty really is under the penal code," Finkel said. "She has bent over backwards trying to take care of these dogs." 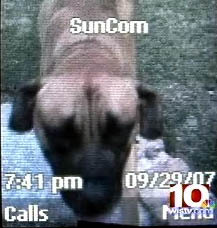 At one point during the trial, an investigator for the SPCA brought in a seized dog, Mindy, described as among the worst. The dog sat motionless in the lap of the investigator as another investigator testified about what he found on the property in the seizure. Drobina said that she only had 37 dogs on the property. She said two of the dogs belonged to her mother, two others belonged to another man who testified that he had brought his dogs there to mate. Another League City man said that he was buying seven of the dogs for a total of $5,000, but hadn't yet taken possession of them. In the end, Gorczynski divided the medical care costs between Drobina and the others who had dogs on the property. Drobina's portion of that amount came to about $7,000. Along with being granted custody of the animals, the SPCA was also awarded nearly $10,000 for their care. While Drobina's attorney said the animals' conditions were due to a chronic bacterial infection, senior assistant Harris County attorney Helene Sterns called it animal abuse. Wendt testified that he believed Drobina cared for the animals, but it was not enough to combat the bacterial infection that was being transmitted to the dogs. Wendt said that the one dog he treated, he sent to Texas A&M for a necropsy. The SPCA's veterinarian testified that the dogs confiscated from the property had intestinal parasites and severely low protein levels and were badly malnourished. Harris County Constable Christine Kendrick testified that there were 34 dead dogs and one dead kitten found on the property.